evious blogs, we talked about how Google works and how one of the search engine’s most popular products, Google My Business, can help you become more visible to people searching for your products or services. In this blog, we’re going to focus more specifically on the benefits of using Google My Business. The search engine has easily maintained its top spot as the most popular search engine in the world, holding over 75% of the search market share, and it’s only increasing. As a matter of fact, Google is said to be receiving about 5.6 billion searches in a day, and a large percentage of these queries have local intent. This means a lot of the searches are done by individuals who are looking for places within their vicinity. You might be familiar with this scene: It’s almost lunchtime, and you want to see a list of restaurants within the area where you can eat. What do you usually do? Isn’t pulling out your phone and typing the words “restaurants near me” on Google the easiest (and most practical) option? The nearest gym, the most accessible dry cleaner, the closest shop where you can buy Japanese miso — people rely on Google for everything. This is the reason why it’s important for businesses to optimize their pages for Google search. The more “searchable” your business is, the better the chances are of leading potential customers your way. Fortunately, this isn’t a feature that’s limited to large-scale businesses. Thanks to Google My Business, even startups can create their online profile to make it easy for people to find them. For a quick recap for those who aren’t familiar with the service, Google My Business (or GMB) is a free internet-based service designed to help promote local businesses online. It’s a tool which enables business owners to manage how they appear online across Google and make their business stand out. Now, why do you need to use Google My Business? Since a large percentage of the population is using Google, it means a huge audience can view and access your profile. The more visible you are — or the more often your business shows up in search results — the better the chances are of drawing people’s attention to you. It’s an innovative and more practical alternative to conventional advertisements. Thanks to today’s technology, it’s now faster and easier to promote your product or service. According to Search Engine Watch, 50% of the people who use mobile phones for local searches end up visiting a store. Considering almost everyone uses a smartphone nowadays, can you imagine the potential sales you can get just through organic search and Google My Business? 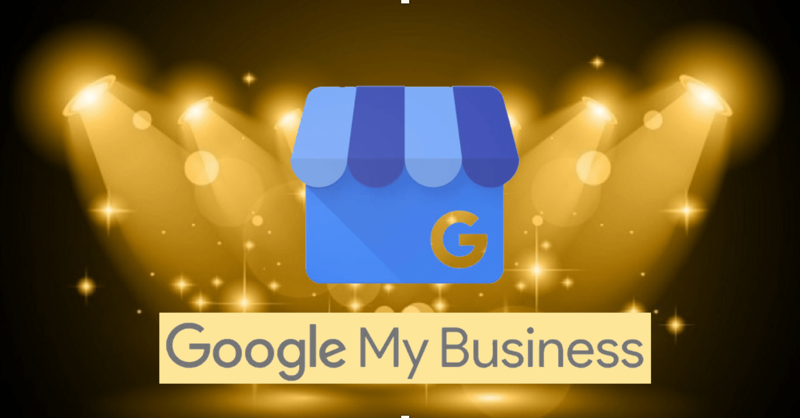 Creating, verifying, and properly optimizing your Google My Business account is an invaluable opportunity, which is why you should utilize this feature to its fullest extent. What else can GMB give you? Here some of the other benefits of Google My Business. Notice the highly visible map and the list of business names that appear right on top of the page whenever you search for places on Google? That’s called the Local Pack, and there are two reasons why you should pay attention to it. The Local Pack takes up huge real estate on page one of Google search results, and it’s the first thing any Google user will see after they type in their query. The Local Pack is a Search Engine Results Page (SERP) which displays the places related to your search. It also includes a bunch of other relevant information that any potential customer might want access to — where it’s located on the map, the business’s contact number in case potential customers have additional questions or want to make a quick reservation, store hours, and even the establishment’s star rating. It’s a convenient feature for both the business and the customers. According to Moz, GMB is the biggest determining factor of local pack rankings. So, if you’re aiming to connect to your target audience — in this case, the people who are within your service area — verifying, updating, and optimizing your online information through Google My Business can help. One must never underestimate the power of customer reviews, especially when it comes to search rankings. Another study by Moz shows that online reviews are thought to make up 10% of how search engines rank results. Thus, if you want your business to be visible in the search results, using GMB to make it easy for your customers to leave positive feedback about your business is a must. Here are other reasons why you need people to leave reviews. Many rely on reviews when making decisions about their purchases. In fact, as much as 93% of customers might be influenced by online reviews. In other words, almost all of them. It’s because these little blocks of text are testimonies of actual consumers who weren’t paid by the company to promote their product or service. Thus, people feel that they’re more credible, and so, many believe what they say. More and more people are checking out customer reviews before choosing a local business. Since people love reading reviews, search engines use them to rank search results. If you can properly utilize this GMB feature, it can have a huge impact on your business. Positive reviews matter. They not only improve your search engine ranking but also serve as free and reliable ads for your products or services. For instance, customers are more confident to try out a product with many positive reviews as opposed to one with a lot of criticisms. People trust online reviews as much as they trust personal recommendations. The more positive customer reviews you get, the more chances you have of generating leads and increasing sales. The research backs it up: there’s a positive correlation between reviews and sales. It’s important to gain positive reviews, but remember that even the best businesses get negative reviews. If this happens to you, handle them in a professional matter. Don’t take these criticisms personally. Instead, use them to improve your product or service. Negative reviews, when properly utilized, can provide useful information to help your business advance. Reviews provide business owners with a glimpse of how customers see your brand. They allow you to view how consumers are taking your products or services, what strategies you ought to keep, what things you must change, or the areas you should improve on. Whether they’re good or bad, reviews can help you understand what your clients think. View them logically and take them into consideration. GMB is a helpful tool for your business. It not only promotes your product or service, it also helps you understand the market. Google My Business comes with powerful features that provide insights on important areas to assist you in creating strategies and in making decisions. This tool enables you to access statistics and insights that can help determine where your audience is coming from. GMB can show you the number of views that your business profile, photos, and posts are getting. This is especially important to verify the effectiveness of your campaigns — whether they’re working well and getting the attention you want, or aren’t doing anything for your business. GMB provides a report where you can learn and understand how consumers find your business. It shows how people are searching — specifically what keywords they input — to find your listing. Knowing what keywords are relevant to your online presence can help you significantly boost traffic. For example, you can dominate relevant long-tail keywords to seriously increase clicks to your webpages. GMB can provide this information. GMB can show you just how your audience is interacting with your posts. It enables you to see what posts they share and what types of comments they leave. This way, you’ll have an idea of the types of material that work well for your business. GMB has a section where you can find a summary of the profile of people following you. You’ll be able to check out the age groups, gender, and even the countries they’re from. These are all helpful when you’re building a campaign. GMB can also show you the number of clicks on your website link. Quantifying the information and knowing these statistics can help you create sound strategies. If you want to improve your audience engagement, website traffic, and boost company sales, you should take some time to study the numbers. No matter how helpful a product is, its potential won’t be maximized if it’s overly costly, impractical, and difficult to use. Fortunately, that’s not the case when it comes to Google My Business. This efficient tool is free and easy to use, so even startups can utilize it to promote their business. Creating and verifying your profile can be done in a matter of hours. In fact, there are tools that can get you instantly verified. Once that’s done, you’re ready to rock page one of Google. Plus, it has great tools to help you analyze performance so you can find ways to improve your business’s ranking. Google My Business makes it easy for startups and local businesses to promote their products and services online by increasing visibility and improving their chances of showing up in search results. It can help potential customers to quickly find and contact you. It’s a free tool that you can make use of to improve your online presence, connect with your customers, and increase your business’s revenue. eClincher is here to help you manage your online presence more quickly and efficiently. Contact us today to learn what we can do for you!